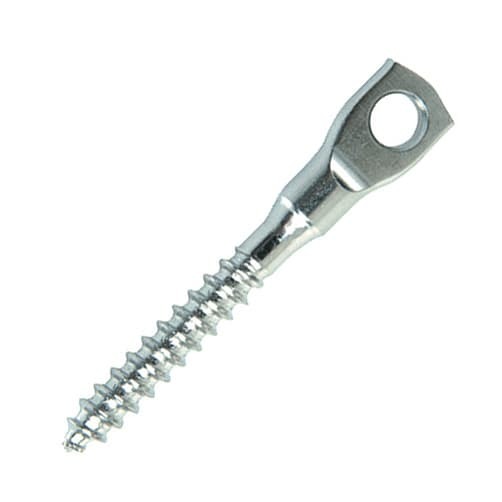 Stainless steel vine eye screw perfect for quick and easy installation into timber. Stainless steel eye bolt with wood screw thread. Screw eyes can be directly installed in wood and, if combined with the correct rawl plug, can be attached to almost any surface. Use it as a small eye bolt for attachment to forks, toggle forks, shackles, etc. 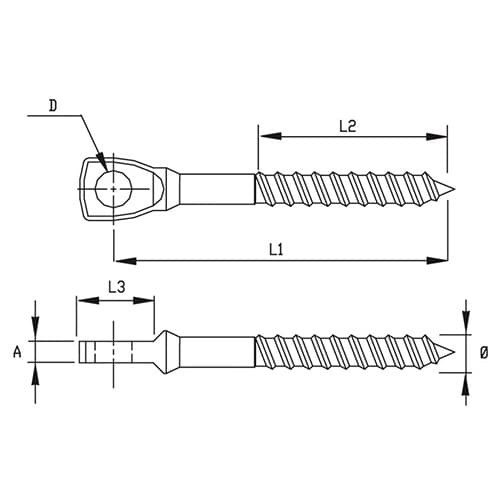 Wood screw thread eye bolts (also referred to as screw thread eye bolts, eye screws, or turned/bent eye lags) have a wood or lag screw thread for use in wood, masonry or lag anchors. Often used as a plant training aid (vine eye), or to lay wire trellis. Need to drill pilot hole to prevent damage when it is fixed. Ideal for removing the smallest of dust particles from drill holes a Air Pump ensures a clean fixing surface.